Google's Pixel smartphones come with a range of innovative imaging technology and currently occupy the number one spot in the DxOMark smartphone ranking. However, shortly after the device launch some users reported a strong tendency of the Pixel camera to produce lens flare, and now it appears some devices are having trouble with the camera app, as well. 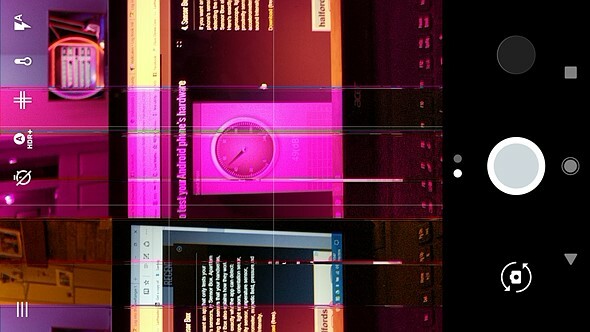 In the Google Product Forum a number of users are reporting that their camera app is frequently crashing, sometimes showing pink and purple vertical lines. It appears the issue is mainly impacting international devices when the phone is in an area with poor signal reception. The error does not occur when flight mode is activated. Google support staff has been instructing users who are experiencing the issue to clear the cache and data, and factory reset the device. However, none of these measures has solved the problem. It appears performing a soft reset by holding the volume down and power keys is currently the only way to get your device up and running again when the issue occurs. We are currently testing the Google Pixel XL for our full review and, luckily, have so far not experienced the problem. That said, we hope Google can come up with a quick solution, possibly a software update, to help the affected users. Aren't Google phone made by others (Motorola, LG, and Huawie)??? In case of Pixel, it's actually the company you did not mention: HTC. Thanks vadims. The idea is that Google doesn't make its phones. Apple doesn't make their own phone either -- Foxconn assembles them. 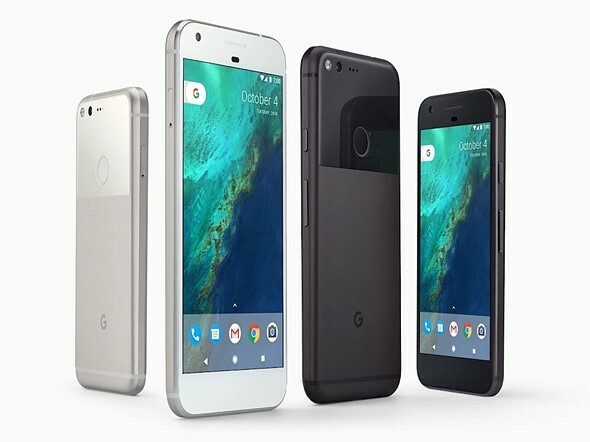 There's a subtle difference between the Pixel and past Nexus lines tho, those previous phones were very clearly advertised and branded (literally, on the back) as made in partnership with XYZ OEM... With the Pixels, Google has now taken a more hands on approach and claimed more ownership over things like design and support. There's no mention of HTC anywhere whatsoever, they end up playing an ODM role very much akin to Foxxcon's contract work for Apple. How is any of this relevant to the news article? Not very, except that the buck stops with Google and it's on them to fix any issues, can't pass the blame around. That's what you mean. You wrote 'subtle difference'. Who makes the commercials for the phone maybe isn't as big a deal as you seem to believe. Hey DP Review: If the problem seems to only happen when the signal is poor, then during your testing, purposely make the signal poor. Like with a makeshift Faraday cage made of aluminum foil. More cell phone articles.... it may be time for "Flach Back Friday" in addition to "Throw Back Thursday". A first generation product have issues. Who would have thought that. An Android smartphone a first generation product? The Pixel is supposedly manufactured by HTC, who is a major cell phone manufacturer, primarily from off-the-shelf parts, so the Pixel is hardly a first generation product. Check out the Pixel C too. Another go at hardware design by Google. First generation product. You must work in marketing. I usually see pink and purple screens when the sensor itself is starting to die. Hopefully I am wrong. Sensors are not that important these days...it is the emulsion that is more important. Google never really did well with their hardware launches. Had Nexus 4 and 5 on release, both plagued with various issues (tablets were even worse from what I heard). Usually a combo of both hardware and software too. You'd think Google would be better at testing with how much money and resources they have. My Nexus 5 was pretty painless, as was my Nexus 7 2013... Sure there were some Android OS bugs are launch but nothing critical that impacted major functionality, I think the 5X was worse off at launch than older Nexus devices and it took months for updates to smooth out random issues. My Pixel has been great out of the box, though not flawless... I'm pretty sure I'll always figure out a way to make Chrome crash somehow tho. Nexus 5 is pretty good. No problem for me. Gotta say, I'm amazed what issues appear sometimes. Poor phone signal and the camera borks itself. That's because it's all augmented reality based on geocoding. The video stream breaks down with poor connectivity. When you start to see Pokemon photo bomb your images and you don't have Pokemon Go installed, then you worry. It's possible it's a heat issue, low signal means the phone is more aggressive in searching for a better tower which in turn burns more battery power and generates more heat... Never really understood why most phones behave like that for extended periods in low signal areas, you'd think there'd be some logic that after 15 min says "hey signal is still crap and I'm not moving, best to stop searching so aggressively". When's the recall? When the camera starts melting? No issues with mine after about 3,000 photos and dozens of videos at all resolutions and frame rates. Why not. We do with Samsung and Apple. Google should be held to the same standards as everyone else. Especially with the price they are asking. I'd rather see an article alerting everyone about a possible issue because some people have reported it than see the usual "I haven't had any issues" person that is too attached to their electronics to admit there is an issue with their precious. No issues with mine but I still appreciate the article and the heads up, good to know what to look for in case of weird behavior. The app is the problem? Do you work for Google? The app is not the problem and it's not a defect or issue. The lens structure, when presented with an extreme scenario, can exhibit flare. Same as any other phone, or camera lens for that matter. Everyone is going out to "test" theirs by pointing it at the sun, so you are seeing a lot of people claiming they have the "flare issue" that exists on every phone in that scenario haha. I own 2 iPhones, a GS7, a GS6, and a Pixel XL - all of them have roughly equal flare characteristics with regards to how easily it can be produced. Phone cameras have cheap lenses. Curious that there have been no articles about the recent iPhone 6S battery recall (for shutdown/crash issues), iPhone 6S grey bar issue/service advisory, iPhone 7 battery fires, iphone 7 hissing, etc. You'd think those would be much more popular articles due to the presumably higher amount of affected users. The Note 7 got lots of attention too, but anything apple related seems to get ignored. Google support staff: "Have you tried turning it off and on again?" Well, I suppose that keeps the stream of customer complaints manageable. My iPhone still works fine. ;-) Oh and don't worry about my iPhone's camera quality. I use a real camera for anything I consider worth capturing. I use my phone for the occasional snapshot of work-related stuff and also a random family snap now and then. Suffice it to say it wouldn't be a disaster if my phone's camera quit working. But the majority of people do depend on their smart phone cameras for everyday "real" shots. Just because you don't doesn't make the issue any less important. The phone cameras today are taking better and better shots that are more than enough to capture the moments people want to remember.